North Iowa Area Community College provides life enrichment courses to the people of North Iowa. Classes are held on the main campus in Mason City and at our five outreach centers (Charles City, Garner, Hampton, Lake Mills, and Osage). Each outreach center has an advisory board comprised of local community members who provide insight for local education programming. 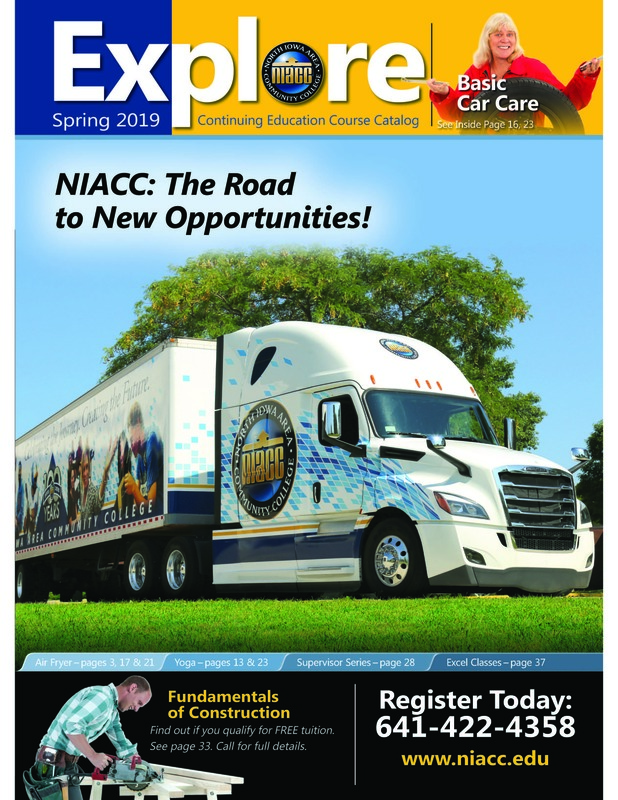 NIACC also partners with local school districts and communities to enhance course offerings around our service area. Whether you’re interested in taking a class on personal finance, cooking, painting, or to learn a new dance step or two, we have a class for you. NIACC Community Education brings the opportunities to your doorstep. Find the classes you want. There are several ways to register. Choose to register online, by phone, fax, or mail.